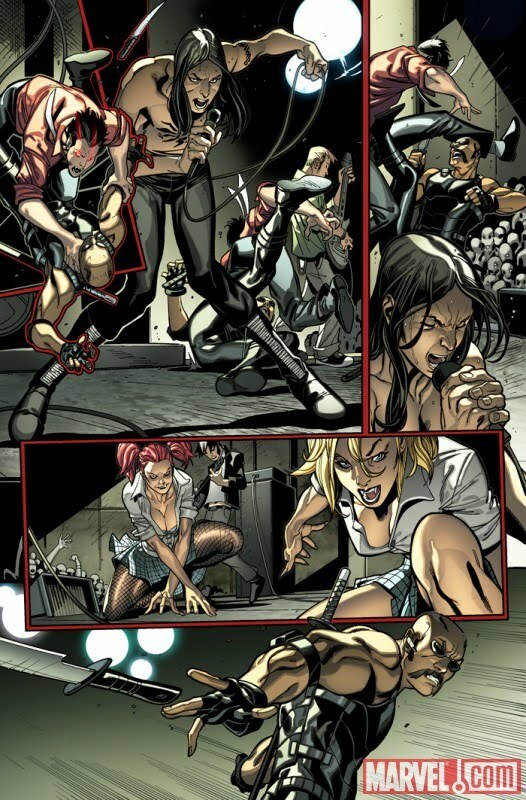 I have really been enjoying the relaunched X-Men series by Victor Gischler and Paco Medina, and luckily enough the good folks at Marvel have supplied us with a sneak peak of issue #4 as well as the 2nd printing variant of X-Men #3. One question remains, when did Jubilee get implants? "Marvel is pleased to present your first look at X-Men #4, the next issue in the hottest new series of the year from the acclaimed creative team of Victor Gischler and Paco Medina! In San Francisco, a legion of undead warriors lies in wait for the order of their leader, Xarus, to attack Utopia. 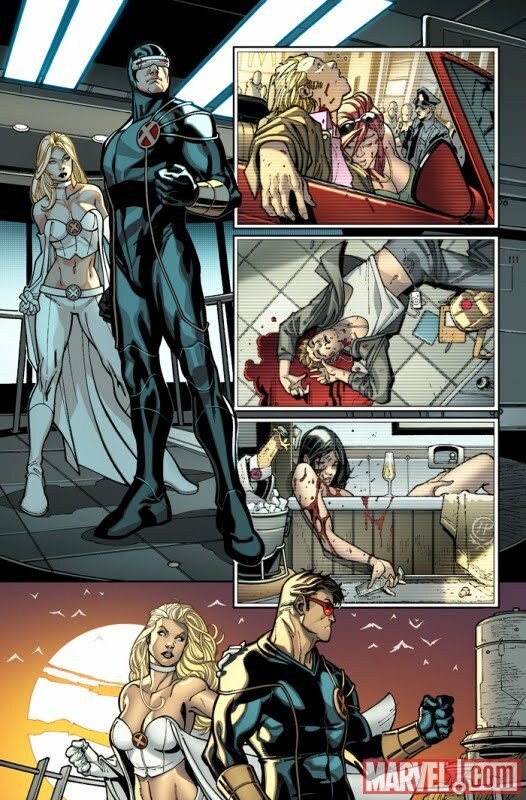 It is under the threat of impending annihilation that the X-Men turn to their unlikeliest ally, the recently resurrected Dracula. 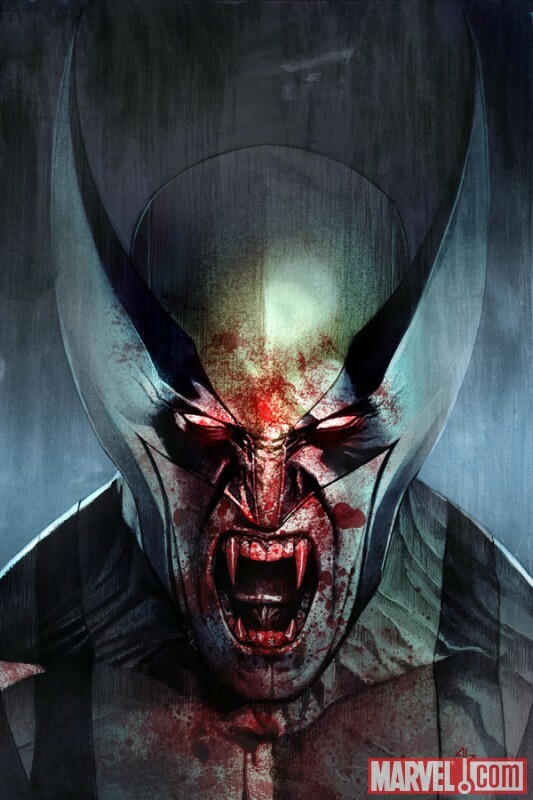 But one of their number, the powerful mutant Wolverine, has been claimed by a vampire bite and may prove to be Xarus’ ace in the hole. 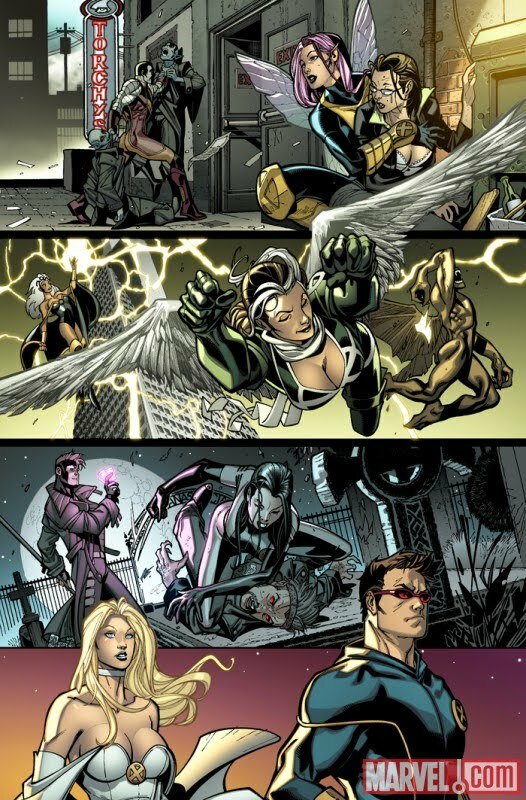 Can the X-Men survive the Curse Of The Mutants? 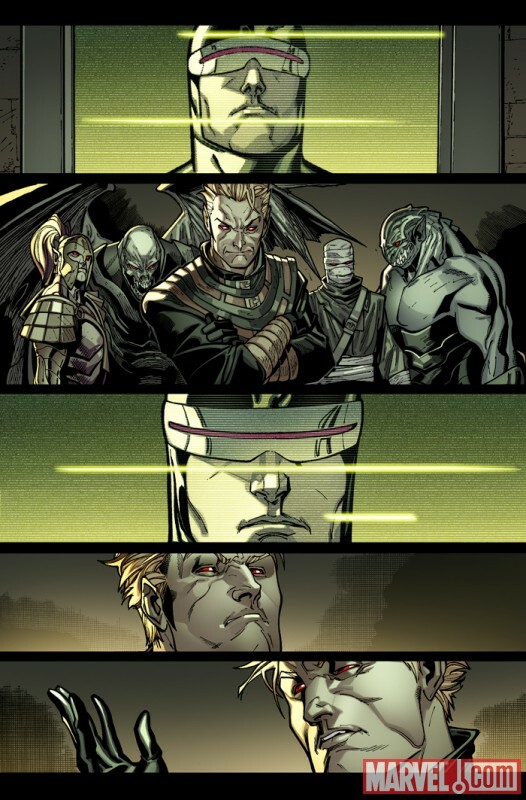 Find out in X-Men #4!" If you missed out on the sell out issue #3 never fear! You can always pick up the X-Men #3 Second Printing Variant with a cover by interior artist Paco Medina.